NEW! 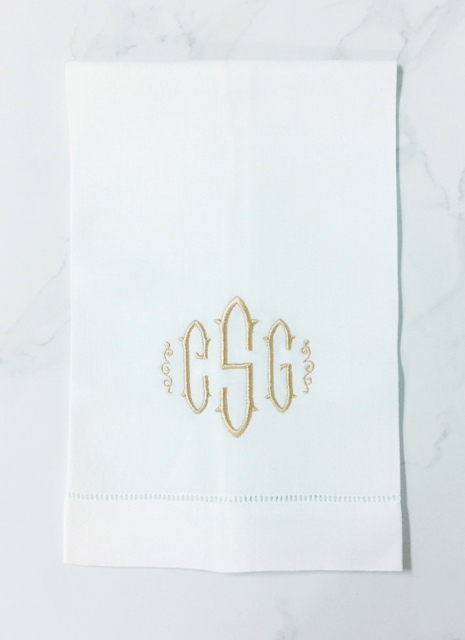 Exquisite monogram that will work with traditional or contemporary bath decor. 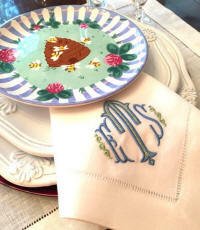 This monogram looks beautiful in two colors or a single color. For color matching, send a fabric, paint or wallpaper sample for complimentary thread swatches. Pairs arrive gift boxed with ribbon!